78 3/4 by 59 in. 200 by 149.9 cm. 23 5/8 by 16 3/4 in. 60 by 42.5 cm. 35 1/2 by 23 5/8 in. 90.2 by 60 cm. 40 by 26 ¾ in. 102 by 68 cm. NEW YORK, March 31, 2015 – Mitchell-Innes & Nash is pleased to present its third solo exhibition of work by the British artist Paul Winstanley. 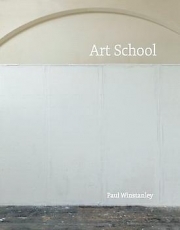 The exhibition will include approximately 10 new paintings from his ongoing series Art School, which is accompanied by Winstanley’s recent photographic publication, Art School (2013). The photographs of empty art student’s studios during summer vacations are the inspiration for both the monograph and the works in the show. The exhibition will be on view at the gallery’s Chelsea location from June 4 through July 19, 2015. In this body of work, the artist traveled throughout the summer months of 2011 and 2012 to art schools in England, Scotland, and Wales, photographing their interiors unaltered and in natural conditions, which became the source material for his paintings. The resulting paintings on panel are saturated with the creative potential offered by their ethereal emptiness. Both poetic and contemplative, the artist studios depicted in the paintings document the undefined creative act: completed, imagined, or unrealized. Through the luminous absence of these spaces, Winstanley gives tangible weight to the aesthetic unknown. 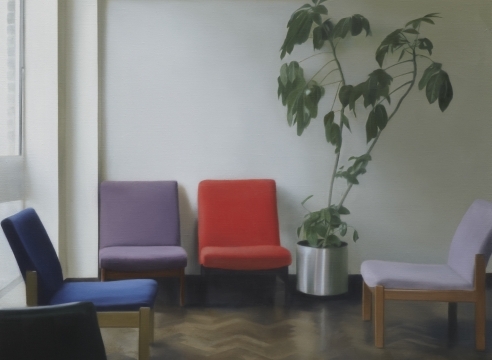 Paul Winstanley was born in Manchester in 1954 and lives and works in London. His work has been included in exhibitions since the 1970s, and over the past two decades it has been shown throughout the United Kingdom, Germany, France, and the United States. Recent institutional group shows include Art and Existence, Esbjerg Kunstmuseum, Esbjerg, Denmark (2013); Lifelike, Museum of Contemporary Art, San Diego, California (2012); and Window to the World, Museo Cantonale d’arte and Museo d’arte, Lugano, Italy (2012). His first retrospective was held at the Auckland Art Space in New Zealand in 2008 and was accompanied by a fully illustrated catalogue. Winstanley's work is represented in numerous public and private collections, including the collections of The Irish Museum of Modern Art, Dublin; Tate Gallery, Great Britain; New York City Public Library, New York and the Museum of Contemporary Art, Los Angeles.